The winners of the World Superyacht Awards 2018 were announced at a glittering ceremony held at the Palazzo Vecchio in Florence in May 2018. Click through or use the links below to see all the winners. 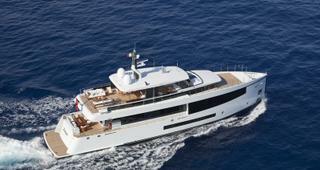 Built by Feadship, Broadwater took home the Neptune for the refitted yachts category. During the refit the yard installed a completely new interior designed by Adam Voorhees, added a sixth stateroom, created a dining/living space aft of the bridge, installed an exterior gym and spa, and created a beach club in her stern. Technical aspects were also upgraded and modernised. These included the AV system, the conversion of all areas to LED lighting, and the installation of updated navigation and safety systems throughout. In addition, the original ‘Flume Tank’ passive anti-roll system was removed, releasing internal volume that was reassigned to storage space. The yacht also received a full exterior repaint, changing her hull colour from white to blue, and a new set of tenders and water toys. The judges were impressed that this extensive work list had been carried out on Broadwater in just eight months, and admired both the quality of workmanship and the modern design of the new interior that rejuvenated a deserving yacht. They also commented that the change in hull colour served to hide windows and portlights giving the yacht a cleaner and more sophisticated appearance. Judges’ Commendation: White Star White Star has now been dramatically reborn and was considered eminently worthy of a Judges’ Commendation. 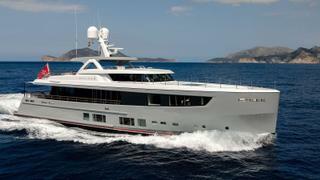 Built by Feadship, Broadwater took home the Neptune for the refitted yachts category. During the refit the yard installed a completely new interior designed by Adam Voorhees, added a sixth stateroom, created a dining/living space aft of the bridge, installed an exterior gym and spa, and created a beach club in her stern. Technical aspects were also upgraded and modernised. These included the AV system, the conversion of all areas to LED lighting, and the installation of updated navigation and safety systems throughout. In addition, the original ‘Flume Tank’ passive anti-roll system was removed, releasing internal volume that was reassigned to storage space. The yacht also received a full exterior repaint, changing her hull colour from white to blue, and a new set of tenders and water toys. The judges were impressed that this extensive work list had been carried out on Broadwater in just eight months, and admired both the quality of workmanship and the modern design of the new interior that rejuvenated a deserving yacht. They also commented that the change in hull colour served to hide windows and portlights giving the yacht a cleaner and more sophisticated appearance. White Star has now been dramatically reborn and was considered eminently worthy of a Judges’ Commendation. An entry that was particularly admired for the tenacity of her owner in restarting and completing what had initially been a failed project. The judges saw Genesia as the ultimate rebuild, starting out as a commercial tug at the end of her working life, and finishing as a capable expedition yacht. The extent of the work invested in this rebuild was truly remarkable. Genesia was stripped of her original interior and machinery as well as substantial elements of her superstructure before being taken back to clean steel, at which point rebuilding commenced. While her new appearance remains commercial, this yacht has the rugged ‘go-anywhere’ look, together with the necessary equipment, for a yacht that has been created to tackle the challenges of long-distant cruising in both high and low latitudes. The judges also noted that her interior suitably reflects this use, being modern and eminently practical as well as comfortable. An entry that was particularly admired for the tenacity of her owner in restarting and completing what had initially been a failed project. The judges saw Genesia as the ultimate rebuild, starting out as a commercial tug at the end of her working life, and finishing as a capable expedition yacht. The extent of the work invested in this rebuild was truly remarkable. Genesia was stripped of her original interior and machinery as well as substantial elements of her superstructure before being taken back to clean steel, at which point rebuilding commenced. While her new appearance remains commercial, this yacht has the rugged ‘go-anywhere’ look, together with the necessary equipment, for a yacht that has been created to tackle the challenges of long-distant cruising in both high and low latitudes. The judges also noted that her interior suitably reflects this use, being modern and eminently practical as well as comfortable. 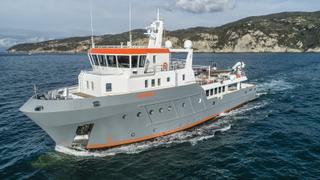 The introduction of this new Support Vessel category reflects a change in the world of superyachts that is increasing in momentum. Modern yacht usage is more adventurous than in the past, with many vessels roaming the entire globe from ice cap to ice cap. At the same time there is an understandable reluctance among owners to build yachts of a size that could properly carry the range of support equipment, such as a helicopter and a larger number of specialist tenders that this modern usage demands, because it would limit their access to many charming ports and anchorages. The solution, it seems, is to restrict the size of a mother ship, while offloading all the necessary expedition equipment to a support vessel. Three such vessels were nominated for this year’s Awards and, whilst examining the capabilities that each added to their mother ship, the judges’ attention soon focused on Game Changer. In their opinion, the ability of this vessel to provide excellent helicopter landing, support and hangar facilities, as well as the deck space to carry and launch four specialist tenders, three PWCs, four trail bikes, and a submarine, in addition to the provision of excellent crew areas and a hospital facility, made her the winner. The introduction of this new Support Vessel category reflects a change in the world of superyachts that is increasing in momentum. Modern yacht usage is more adventurous than in the past, with many vessels roaming the entire globe from ice cap to ice cap. At the same time there is an understandable reluctance among owners to build yachts of a size that could properly carry the range of support equipment, such as a helicopter and a larger number of specialist tenders that this modern usage demands, because it would limit their access to many charming ports and anchorages. The solution, it seems, is to restrict the size of a mother ship, while offloading all the necessary expedition equipment to a support vessel. Three such vessels were nominated for this year’s Awards and, whilst examining the capabilities that each added to their mother ship, the judges’ attention soon focused on Game Changer. In their opinion, the ability of this vessel to provide excellent helicopter landing, support and hangar facilities, as well as the deck space to carry and launch four specialist tenders, three PWCs, four trail bikes, and a submarine, in addition to the provision of excellent crew areas and a hospital facility, made her the winner. This yacht was not only judged to be extremely well designed and constructed, but was considered to be a yacht that could ably fulfill the specific superyacht racing and fast cruising roles that her highly experienced owners had requested. The judges admired many aspects of this dual-role yacht, but her well-planned general arrangement plan, equitably divided between the aft crew area and forward guest area with no noticeable intrusion from technical aspects such as her lifting centerboard, and her futuristic glass-topped saloon that fills the yacht with light, were the prime examples. Following in close succession were the excellent quality of her construction and her admirably modern style of interior decoration while, last, but in no way least, the judges noted her excellent sailing qualities that were ably demonstrated by her class victory in the Rolex Cup last September. Judges' Commendation: Svea During the judges’ discussions on this class, it became clear that Svea, built to the J-Class Rule, one of the most elegant yacht in this year’s awards, while her racing performance in her class has also been outstanding. It was, therefore, unanimously agreed that Judges’ Commendation should be awarded. This yacht was not only judged to be extremely well designed and constructed, but was considered to be a yacht that could ably fulfill the specific superyacht racing and fast cruising roles that her highly experienced owners had requested. The judges admired many aspects of this dual-role yacht, but her well-planned general arrangement plan, equitably divided between the aft crew area and forward guest area with no noticeable intrusion from technical aspects such as her lifting centerboard, and her futuristic glass-topped saloon that fills the yacht with light, were the prime examples. Following in close succession were the excellent quality of her construction and her admirably modern style of interior decoration while, last, but in no way least, the judges noted her excellent sailing qualities that were ably demonstrated by her class victory in the Rolex Cup last September. During the judges’ discussions on this class, it became clear that Svea, built to the J-Class Rule, one of the most elegant yacht in this year’s awards, while her racing performance in her class has also been outstanding. It was, therefore, unanimously agreed that Judges’ Commendation should be awarded. Three similarly sized blue-water cruising yachts competed in this class, two sloops and a ketch. Each was a beautifully constructed and highly practical example of their breed, and this served to stimulate a thorough discussion among the judges, whose opinions were finally reflected in the judging sheets. Built from carbon fibre and displacing just 250 tonnes, Pink Gin's hull and rig were considered to be a triumph of structural engineering in that her fore and aft deflection is a mere 76mm, despite a 300-tonne rig loading imposed by her 68-metre high carbon mast. While contributing enormously to the practicality and functionality of the yacht, the two large hull openings – a guest’s boarding platform to port and a balcony in the master cabin forward – further added to the complexity of this engineering. Other notable technology was her ‘force feedback steering’ power-assisted system that operating over a wireless link, provides the helmsman with an accurate assessment of the yacht’s trim and balance. Judges' Commendation: Ngoni There was no doubt among the judges that Ngoni is a superb sailing yacht, having been designed and built to the very highest standards seen today. To recognise such perfection, they had no hesitation in awarding her a Judges’ Commendation. Three similarly sized blue-water cruising yachts competed in this class, two sloops and a ketch. Each was a beautifully constructed and highly practical example of their breed, and this served to stimulate a thorough discussion among the judges, whose opinions were finally reflected in the judging sheets. Built from carbon fibre and displacing just 250 tonnes, Pink Gin's hull and rig were considered to be a triumph of structural engineering in that her fore and aft deflection is a mere 76mm, despite a 300-tonne rig loading imposed by her 68-metre high carbon mast. While contributing enormously to the practicality and functionality of the yacht, the two large hull openings – a guest’s boarding platform to port and a balcony in the master cabin forward – further added to the complexity of this engineering. Other notable technology was her ‘force feedback steering’ power-assisted system that operating over a wireless link, provides the helmsman with an accurate assessment of the yacht’s trim and balance. There was no doubt among the judges that Ngoni is a superb sailing yacht, having been designed and built to the very highest standards seen today. To recognise such perfection, they had no hesitation in awarding her a Judges’ Commendation. Having thoroughly reviewed all the yachts in this class, the judges unanimously selected the 34.7 metre Letani, built by Feadship’s De Vries yard in Aalsmeer, as the winner. The owner’s outline brief was for a yacht that would give his family the capability to undertake local cruising as well as longer voyages, while preserving the ability to access shallow waters and small ports. The judges were first attracted to Letani by the high quality of her build that was evident in all areas, from hull construction to her outfitting and detail of finish. 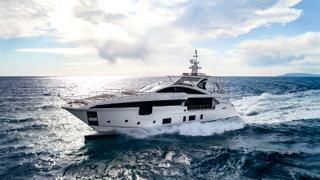 Many other facets also received praise including her modern, masculine appearance, a well-considered general arrangement plan that meets the needs of guests and crew alike, and an efficient fuel burn throughout the yachts speed range. This was a yacht whose owner was highly involved in the design and construction, and this fact became particularly apparent in the interior where his desire for a floating home in which his family would be comfortable, led to an original layout with informal spaces, such as a ‘bistro’ dining area, a television ‘nook’, and children’s cabins laid out to optimise play areas. Having thoroughly reviewed all the yachts in this class, the judges unanimously selected the 34.7 metre Letani, built by Feadship’s De Vries yard in Aalsmeer, as the winner. The owner’s outline brief was for a yacht that would give his family the capability to undertake local cruising as well as longer voyages, while preserving the ability to access shallow waters and small ports. The judges were first attracted to Letani by the high quality of her build that was evident in all areas, from hull construction to her outfitting and detail of finish. 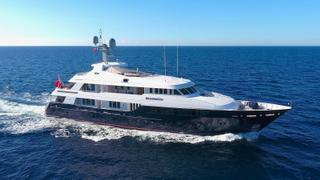 Many other facets also received praise including her modern, masculine appearance, a well-considered general arrangement plan that meets the needs of guests and crew alike, and an efficient fuel burn throughout the yachts speed range. This was a yacht whose owner was highly involved in the design and construction, and this fact became particularly apparent in the interior where his desire for a floating home in which his family would be comfortable, led to an original layout with informal spaces, such as a ‘bistro’ dining area, a television ‘nook’, and children’s cabins laid out to optimise play areas. MR. OH, a newly designed semi-custom yacht from Azimut-Benetti, filled the top spot and took home the Neptune for this next award. Today’s yacht owners are demanding the maximum from their yachts and the judges’ felt that this is what had been delivered, all wrapped in an attractive and novel package. As such, MR. OH offers amazingly large deck areas that include not one, but two beach clubs, a high-volume, timeless interior that incorporates a saloon, master suite and five guest cabins, as well as good crew quarters and a tender garage. Add to this a bright and light interior with flowing free-form furniture and elegantly curved surfaces, and it is clear that this two-deck vessel provides excellent value. Additionally, the judges found a high quality of construction throughout her guest, service and technical areas. Once again it was modern lines, bright and tranquil interior spaces, and impressive performance that attracted the judges’ attention to the winner of this class, the 33 metre Custom Line Navetta 33, Telli. Her sleek contemporary exterior lines incorporate excellent deck spaces on three levels with optimum sunbathing, dining and lounging areas, while the builders’ desire to create a seamless join between deck and interior has meant that the volume of both appears to be greatly enhanced. The judges admired much of the detail that added to this effect, including the manner in which the aft deck’s teak planking continues without interruption into the main deck saloon through floor-to-deckhead sliding windows. Among other design features appreciated by the judges were the interior’s contemporary yet classic decorative style, the sense of calm induced by the high level of insulation against sound and vibration, and the volume of the owner’s cabin. Additionally, the ingenious ‘dual movement’ design of the stern door made it possible to combine a splendid beach club with a simple to operate ‘drive-in’ tender garage. The judges considered that this compact but extremely well designed yacht, which completely meets the needs of her experienced owner, is a worthy winner in this class. Once again it was modern lines, bright and tranquil interior spaces, and impressive performance that attracted the judges’ attention to the winner of this class, the 33 metre Custom Line Navetta 33, Telli. Her sleek contemporary exterior lines incorporate excellent deck spaces on three levels with optimum sunbathing, dining and lounging areas, while the builders’ desire to create a seamless join between deck and interior has meant that the volume of both appears to be greatly enhanced. The judges admired much of the detail that added to this effect, including the manner in which the aft deck’s teak planking continues without interruption into the main deck saloon through floor-to-deckhead sliding windows. Among other design features appreciated by the judges were the interior’s contemporary yet classic decorative style, the sense of calm induced by the high level of insulation against sound and vibration, and the volume of the owner’s cabin. Additionally, the ingenious ‘dual movement’ design of the stern door made it possible to combine a splendid beach club with a simple to operate ‘drive-in’ tender garage. The judges considered that this compact but extremely well designed yacht, which completely meets the needs of her experienced owner, is a worthy winner in this class. 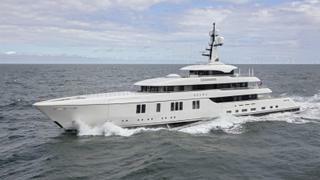 It was the 36 metre Delta One, built in The Netherlands by Mulder Shipyard, that topped the list of this displacement category. In the opinion of the judges, Delta One is a well-balanced yacht offering an attractive masculine profile and some agreeable, well-considered features that, in the past, have only been associated with much larger vessels. Among these are an admirable beach club in the stern with easy access from the main deck aft, and a transverse garage sufficiently large to house a 6.25-metre Williams tender. The deck areas, spacious and purpose designed for the owner’s family use, include a large Jacuzzi tub as well as two shaded dining areas, while the interior is enlivened by huge windows that bring light and a real feeling of connection with the surroundings. Last, but not least, the judges were impressed by the yacht’s low figures for fuel consumption, particularly noting that while running at 10-knots the fuel burn was a meagre 73 litres-per-hour. Judges’ Commendation: Soprano The second yacht that attracted the admiration of the judges in this class was the 38.3 metre Soprano, built by Hakvoort Shipyard. 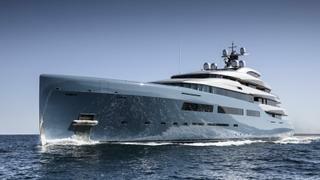 The judges considered her to be a perfect modern interpretation of a classic motor yacht and awarded her a Commendation. 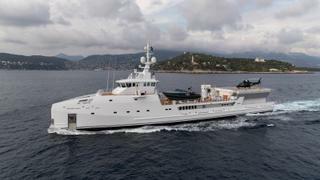 It was the 36 metre Delta One, built in The Netherlands by Mulder Shipyard, that topped the list of this displacement category. In the opinion of the judges, Delta One is a well-balanced yacht offering an attractive masculine profile and some agreeable, well-considered features that, in the past, have only been associated with much larger vessels. Among these are an admirable beach club in the stern with easy access from the main deck aft, and a transverse garage sufficiently large to house a 6.25-metre Williams tender. The deck areas, spacious and purpose designed for the owner’s family use, include a large Jacuzzi tub as well as two shaded dining areas, while the interior is enlivened by huge windows that bring light and a real feeling of connection with the surroundings. Last, but not least, the judges were impressed by the yacht’s low figures for fuel consumption, particularly noting that while running at 10-knots the fuel burn was a meagre 73 litres-per-hour. The second yacht that attracted the admiration of the judges in this class was the 38.3 metre Soprano, built by Hakvoort Shipyard. 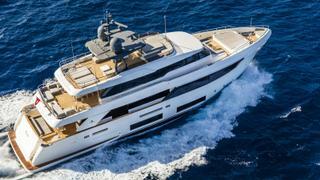 The judges considered her to be a perfect modern interpretation of a classic motor yacht and awarded her a Commendation. There were some excellent entries in this competitive class but, while the result was close, the judges were almost of one mind in selecting the winner as Seven Sins, the newest addition to the Sanlorenzo stable. The owner declared an immediate love for the elegant, sculpted lines of this yacht when he first saw a model at a show and, like the judges, he was not disappointed when he first saw the vessel in reality. But elegance of line was not the only attribute that drew the judges’ attention. Huge outdoor spaces provide choices for relaxing and dining in both shade and sun, while the main deck aft is put to excellent use with a huge pool, whose innovative glass bottom transmits light to the superb beach club beneath. This lower deck area spans the yacht’s full-beam, opening to the sea on three sides, while the central floor lowers to allow the tender to enter through the stern. Adjacent are a sauna and hammam. The judges also admired the yacht’s contemporary interior that, lit through huge windows, provides incredible exterior views. In the opinion of the judges, the way in which Sanlorenzo have packed so many modern and desirable features into a 52 metre package has created one of the best semi-custom vessels of this size in today’s marketplace. There were some excellent entries in this competitive class but, while the result was close, the judges were almost of one mind in selecting the winner as Seven Sins, the newest addition to the Sanlorenzo stable. The owner declared an immediate love for the elegant, sculpted lines of this yacht when he first saw a model at a show and, like the judges, he was not disappointed when he first saw the vessel in reality. But elegance of line was not the only attribute that drew the judges’ attention. Huge outdoor spaces provide choices for relaxing and dining in both shade and sun, while the main deck aft is put to excellent use with a huge pool, whose innovative glass bottom transmits light to the superb beach club beneath. This lower deck area spans the yacht’s full-beam, opening to the sea on three sides, while the central floor lowers to allow the tender to enter through the stern. Adjacent are a sauna and hammam. The judges also admired the yacht’s contemporary interior that, lit through huge windows, provides incredible exterior views. In the opinion of the judges, the way in which Sanlorenzo have packed so many modern and desirable features into a 52 metre package has created one of the best semi-custom vessels of this size in today’s marketplace. 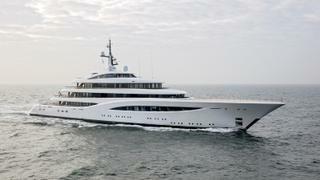 The 73.4 metre Feadship Hasna claimed the highest position on the podium in this next category. With hull design by Feadship’s De Voogt Naval Architects, Hasna was built by Royal Van Lent in Feadship’s Kaag Island facility, while both exterior and interior design were undertaken by RWD, whose brief was to create a fully-featured family yacht. The judges admired her exterior lines as well as the practical layout of her decks, which offer convivial seating, dining and relaxation areas as well as a large Jacuzzi on the sun deck and an 8-metre swimming pool on the main deck. Her interior is distinguished by well-proportioned public spaces, including a beach club and cinema, while good provision is also made for crew and service areas. The judges were particularly impressed with the high quality of the yacht’s construction and finish throughout, from the fairness of the hull and the perfection of the interior build right through to the technical installation. The 73.4 metre FeadshipHasna claimed the highest position on the podium in this next category. With hull design by Feadship’s De Voogt Naval Architects, Hasna was built by Royal Van Lent in Feadship’s Kaag Island facility, while both exterior and interior design were undertaken by RWD, whose brief was to create a fully-featured family yacht. The judges admired her exterior lines as well as the practical layout of her decks, which offer convivial seating, dining and relaxation areas as well as a large Jacuzzi on the sun deck and an 8-metre swimming pool on the main deck. Her interior is distinguished by well-proportioned public spaces, including a beach club and cinema, while good provision is also made for crew and service areas. The judges were particularly impressed with the high quality of the yacht’s construction and finish throughout, from the fairness of the hull and the perfection of the interior build right through to the technical installation. Built by Feadship at the De Vries shipyard in Makkum, this elegant 96.6 metre yacht, Faith was constructed for an extremely experienced owner who wanted a ‘true modern gentleman’s yacht, with timeless elegance and grace and a nautically inspired, contemporary-yet-cosy interior.’ The judges were excited by the stylishly flowing exterior lines and the extremely high quality of construction evident throughout the vessel, from her machinery spaces, through crew and technical areas, to the owner and guest quarters. In particular they admired the way that large windows connected guests with the surrounding seascapes, while the beach club – open on three sides to the sea, allowed unhindered access to the water. In fact, it could be said that four sides are open to the sea as a large portion of the deckhead is the curved glass bottom of the nine-metre swimming pool on the deck above. The judges were excited by the stylishly flowing exterior lines and the extremely high quality of construction evident throughout the vessel, from her machinery spaces, through crew and technical areas, to the owner and guest quarters. In particular they admired the way that large windows connected guests with the surrounding seascapes, while the beach club – open on three sides to the sea, allowed unhindered access to the water. In fact, it could be said that four sides are open to the sea as a large portion of the deckhead is the curved glass bottom of the nine-metre swimming pool on the deck above. Built as a ‘sail-assisted motor yacht’, it seemed inappropriate to most judges that Sailing Yacht A should be judged in either the Motor or Sailing Yacht categories because of her attributes in both fields. The judges debated this yacht at great length before coming to the conclusion that a new Sail-Assisted Motor Yacht category should be established for this and any future occasion when such a yacht is entered, particularly as further examples of this hybrid seem likely as we move towards a more environmentally-friendly future. This decision made her the sole competitor in this class and, as such, there is previous judging precedent to be followed. In the past, the presentation of a Neptune in classes had been decided by the judges on the basis of whether the yacht in question was of ‘sufficient merit’ to receive such an accolade. It was clear from the discussion that followed that this was a yacht that either found strong favour or disapproval but it was clearly acknowledged, particularly by those judges who had visited the yacht, that the technical and environmental aspects of the vessel were truly admirable, as was the scale and quality of her construction and high level of owner satisfaction. It was therefore decided that a Neptune would be appropriate recognition of her achievement. Built as a ‘sail-assisted motor yacht’, it seemed inappropriate to most judges that Sailing Yacht A should be judged in either the Motor or Sailing Yacht categories because of her attributes in both fields. The judges debated this yacht at great length before coming to the conclusion that a new Sail-Assisted Motor Yacht category should be established for this and any future occasion when such a yacht is entered, particularly as further examples of this hybrid seem likely as we move towards a more environmentally-friendly future. This decision made her the sole competitor in this class and, as such, there is previous judging precedent to be followed. In the past, the presentation of a Neptune in classes had been decided by the judges on the basis of whether the yacht in question was of ‘sufficient merit’ to receive such an accolade. It was clear from the discussion that followed that this was a yacht that either found strong favour or disapproval but it was clearly acknowledged, particularly by those judges who had visited the yacht, that the technical and environmental aspects of the vessel were truly admirable, as was the scale and quality of her construction and high level of owner satisfaction. It was therefore decided that a Neptune would be appropriate recognition of her achievement. 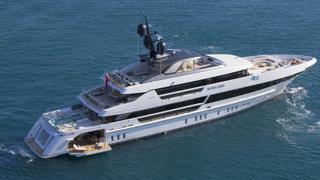 There was little doubt among the judges that Aviva is not only extremely well built, but a very special yacht. From first sight, her flowing modern lines and attractive hull colour draws one’s attention but the thrill continues for those privileged to see her interior, which is perfectly customised to the needs of an owner who lives aboard full time. Flowing lines also dominate an agreeable general arrangement plan, but the most unexpected feature is the padel court (one third the size of an LTA court) that sits at the heart of her lower deck, a quite unique facility that is used every day by the owner, guests or crew. So many judges were enthusiastic about this yacht - a close runner-up in this class - that the award of a Neptune in the form of a Judges’ Special Award was proposed and readily accepted by the whole jury. All three entries submitted for this year’s award plotted routes that all took them long distances while providing out-of-the-ordinary experiences, but one stood out as being truly educational and life changing. This was the Caribbean and Pacific cruise undertaken by the owners of the 61 metre CRN, Constance and their four young children, supported by two teachers, two nannies, a naturalist and 16 crew members. The four children were taken out of school for the eight-month long voyage, continuing their regular studies on board, while gaining memories that will always remain. Leaving from Florida, the cruise visited the Bahamas, Cuba, Jamaica, the Panama Canal, Costa Rica, Galapagos, French Polynesia, the Cook Islands, and Tonga. During this voyage they not only met and interacted with local children, but they individually discovered new lifetime hobbies in scuba diving, fishing, photography and nature, both on land and beneath the waves. Additionally, the eldest daughter compiled a charming log of their experiences that formed part of the submission for this enlightening cruise. All three entries submitted for this year’s award plotted routes that all took them long distances while providing out-of-the-ordinary experiences, but one stood out as being truly educational and life changing. This was the Caribbean and Pacific cruise undertaken by the owners of the 61 metre CRN, Constance and their four young children, supported by two teachers, two nannies, a naturalist and 16 crew members. The four children were taken out of school for the eight-month long voyage, continuing their regular studies on board, while gaining memories that will always remain. Leaving from Florida, the cruise visited the Bahamas, Cuba, Jamaica, the Panama Canal, Costa Rica, Galapagos, French Polynesia, the Cook Islands, and Tonga. During this voyage they not only met and interacted with local children, but they individually discovered new lifetime hobbies in scuba diving, fishing, photography and nature, both on land and beneath the waves. Additionally, the eldest daughter compiled a charming log of their experiences that formed part of the submission for this enlightening cruise. Having lived on or by the water for most of his life, Lang has not only owned several superyachts but also played a large role in the building of them. His passion for sailing combined with his passion for creating new spaces and places makes building yachts a very exciting endeavour for the Australian. 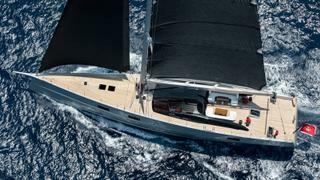 With his Kokomo series – a 42 metre, a 52 metre, and a 58.4 metre, all of which are sailing yachts – Lang chose to use the same designers, builder and project manager over a period of 12 years, each version evolving along with his competitive sailing career and experience. He has always innovated and pushed the boundaries, such as boldly building a 58.4 metre sloop with a 130-tonne lifting keel to commissioning the largest spinnaker in history, as well as being the first man to put 3DL sails on board a superyacht. Each of Lang’s yachts adhere to a sensible, efficient and clean design aesthetic and a philosophy which places a premium on the smart use of space. This approach not only translates to his yacht projects, but also through his land-based property development projects. In the past 10 years alone, he has developed over 240 projects that have embraced cutting-edge design and industry leading environmentally sustainable standards. Lang recently complemented his property portfolio with his first ever resort, Kokomo Private Island, Fiji. Taking full control over his projects, Lang takes pride in every development that his company embarks on to ensure the vision is delivered. Not only a property magnate, Lang has always demonstrated great passion and care for philanthropy. The Australian Olympic sailing team and the youth sailing academy are just a few of the charities he supports. Additionally, when building his own superyachts, he has encouraged the implementation of apprenticeship programmes to teach the trades to the next generation of yacht builders. 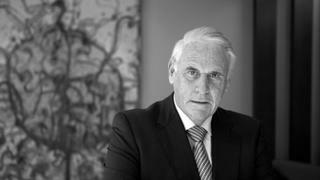 In 2015, Lang was awarded an Order of Australia Officer (AO) for his varied and continued philanthropic efforts. Having lived on or by the water for most of his life, Lang has not only owned several superyachts but also played a large role in the building of them. His passion for sailing combined with his passion for creating new spaces and places makes building yachts a very exciting endeavour for the Australian. With his Kokomo series – a 42 metre, a 52 metre, and a 58.4 metre, all of which are sailing yachts – Lang chose to use the same designers, builder and project manager over a period of 12 years, each version evolving along with his competitive sailing career and experience. He has always innovated and pushed the boundaries, such as boldly building a 58.4 metre sloop with a 130-tonne lifting keel to commissioning the largest spinnaker in history, as well as being the first man to put 3DL sails on board a superyacht. Each of Lang’s yachts adhere to a sensible, efficient and clean design aesthetic and a philosophy which places a premium on the smart use of space. This approach not only translates to his yacht projects, but also through his land-based property development projects. In the past 10 years alone, he has developed over 240 projects that have embraced cutting-edge design and industry leading environmentally sustainable standards. 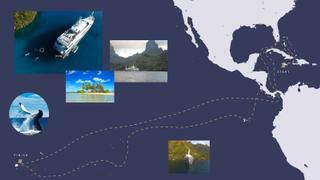 Lang recently complemented his property portfolio with his first ever resort, Kokomo Private Island, Fiji. Taking full control over his projects, Lang takes pride in every development that his company embarks on to ensure the vision is delivered. Not only a property magnate, Lang has always demonstrated great passion and care for philanthropy. The Australian Olympic sailing team and the youth sailing academy are just a few of the charities he supports. Additionally, when building his own superyachts, he has encouraged the implementation of apprenticeship programmes to teach the trades to the next generation of yacht builders. In 2015, Lang was awarded an Order of Australia Officer (AO) for his varied and continued philanthropic efforts. The Sailing Yacht of the Year is chosen from those yachts that won the individual sailing yacht classes and this year the competition was between Ribelle and Pink Gin. In the eyes of the judges, both of these vessels represented the current peak of sailing yacht design and construction, and they encountered some difficulty in choosing between them. In the end, it was Pink Gin that prevailed, mainly due to the advanced structural engineering employed by the designer, judel/vrolijk and her builder, Baltic Yachts in creating a 53.9 metre epoxy-carbon cored hull with two large shell doors capable of withstanding the considerable forces imposed by a carbon mast with a 69.5 metre air draft. Although not intended for racing, her owner requested excellent sailing performance combined with minimum angle of heel, and this translated to a displacement of just 250-tonnes - extremely light for a cruising vessel. Reflecting her main use as a high performance global cruising yacht, Pink Gin has ample sail area to perform well in the lightest of breezes as well as in brisker conditions, when she is able to achieve speeds of up to 20-knots. In the judges view, Pink Gin is a yacht incorporating highly advanced design and technology that perfectly reflects her owner’s wishes. 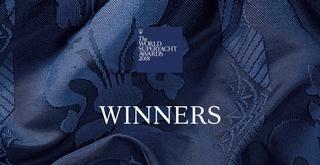 As such, she is a worthy winner of the Sailing Yacht of the Year award. The Sailing Yacht of the Year is chosen from those yachts that won the individual sailing yacht classes and this year the competition was between Ribelle and Pink Gin. In the eyes of the judges, both of these vessels represented the current peak of sailing yacht design and construction, and they encountered some difficulty in choosing between them. 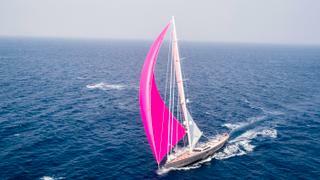 In the end, it was Pink Gin that prevailed, mainly due to the advanced structural engineering employed by the designer, judel/vrolijk and her builder, Baltic Yachts in creating a 53.9 metre epoxy-carbon cored hull with two large shell doors capable of withstanding the considerable forces imposed by a carbon mast with a 69.5 metre air draft. Although not intended for racing, her owner requested excellent sailing performance combined with minimum angle of heel, and this translated to a displacement of just 250-tonnes - extremely light for a cruising vessel. Reflecting her main use as a high performance global cruising yacht, Pink Gin has ample sail area to perform well in the lightest of breezes as well as in brisker conditions, when she is able to achieve speeds of up to 20-knots. In the judges view, Pink Gin is a yacht incorporating highly advanced design and technology that perfectly reflects her owner’s wishes. 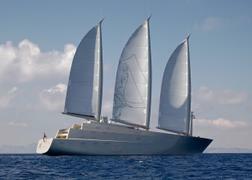 As such, she is a worthy winner of the Sailing Yacht of the Year award. The winners of the World Superyacht Awards 2018 were announced at a glittering ceremony held at the Palazzo Vecchio in Florence in May 2018. Click through to see all the winners. This year, eight motor yachts – the winners of each of the motor yacht classes – competed for the coveted title of Motor Yacht of the Year. When deciding this award, the difficulty of comparing such diverse yachts is always a hard task for the judges, but they are always aware that they are seeking the ‘very best of the best’ – a vessel that is truly extraordinary by any measure. As such, it was clear that Faith had to take the title. Not only did her owner expect new standards in design and construction to create an aesthetically pleasing vessel, but also in novel glass technology. The nine-metre long and 2.5-metre deep swimming pool on the main deck aft, for example, has a 68mm curved glass bottom, constructed by laminating five layers of glass interspersed by a clear foil. More obviously, the cap rail is supported by glass to avoid the ‘fussy’ appearance of multiple stanchions. Many other features also attracted the judges’ eyes, including the three-metre high skylight dome in the master stateroom, and a wood-burning pizza oven on the top deck – a seemingly simple installation but one that required advanced design to clean soot and other particles from its smoke. A combination of elegance, style, and the highest quality of design and construction, this yacht is a worthy winner of this prized trophy. The winners of the World Superyacht Awards 2018 were announced at a glittering ceremony held at the Palazzo Vecchio in Florence in May 2018. Click through to see all the winners. This year, eight motor yachts – the winners of each of the motor yacht classes – competed for the coveted title of Motor Yacht of the Year. When deciding this award, the difficulty of comparing such diverse yachts is always a hard task for the judges, but they are always aware that they are seeking the ‘very best of the best’ – a vessel that is truly extraordinary by any measure. As such, it was clear that Faith had to take the title. Not only did her owner expect new standards in design and construction to create an aesthetically pleasing vessel, but also in novel glass technology. The nine-metre long and 2.5-metre deep swimming pool on the main deck aft, for example, has a 68mm curved glass bottom, constructed by laminating five layers of glass interspersed by a clear foil. More obviously, the cap rail is supported by glass to avoid the ‘fussy’ appearance of multiple stanchions. Many other features also attracted the judges’ eyes, including the three-metre high skylight dome in the master stateroom, and a wood-burning pizza oven on the top deck – a seemingly simple installation but one that required advanced design to clean soot and other particles from its smoke. A combination of elegance, style, and the highest quality of design and construction, this yacht is a worthy winner of this prized trophy.